Career Option in Siddha, Siddha Careers in India, Career Opportunities Education Guide, Jobs, Eligibility Criteria, Remuneration. Siddha medicine is a form of medical treatment of diseases using substances of all possible origins in a way that balances the possible harmful effect of each substance. This form of medical treatment was professed and practiced by siddhars who wrote their recipes on palm-leaves for the use of future generations. Preparations are made mainly out of the parts of the plants and trees such as leaves, bark, stem, root, seeds etc, but include metals, minerals and some animal substances. 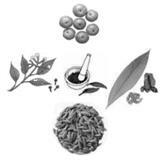 This form of medicine is still today well known in South India. The use of metals like gold, silver, iron chanduram & Paspam in some preparations is a special feature of siddha medicine, which claims it can detoxify metals to enable them to be used for prolonged diseases. +2 (Higher Secondary students) with only Bio or Bio + maths group as the majors or Diploma holders in Biology or related fields are eligible to do a course in Siddha. BSMS (Bachelor of Siddha Medicine & Surgery). Duration: four and half year duration with one year internship. Specializations: Pharmacist, gynecologist, teacher, practitioner etc. Bank loans and private loans can be easily arranged by contacting the banks through the college administrative. To be a successful Siddha practitioner, one must have a strong power of concentration, self-confidence, responsibility, caring nature, good communication and counseling skills, and have the ability to make intelligent decisions. After successful completion of the Bachelor degree, options for higher education are plenty. A person with the above degree can opt for Masters in Siddha. For details on colleges which offer Bachelor degree in Siddha, please visit www.studyguideindia.com. One can join numerous colleges and institutions all over the country, which impart education in this discipline. Open your own clinic in a well-populated neighborhood which may give you good earnings as well as reputation. Open one's own retail shop of Siddha medicines. Join Pharmaceutical companies who are manufacturing Siddha medicines. Join in Research sectors and enter in allied science fields such as Bio-chemistry, Anatomy, and Environmental Toxicology. The remuneration for a Siddha doctor who is appointed in government hospital/department will be between Rs.10, 000 - Rs.14, 000. In private practice the earning is more and depends totally on experience and the effort put into action. Central Council for research in Ayurveda and Siddha.